On Sunday (9 July) we will celebrate Constitution Day. It will be 117 years since the Queen assented the Australian Constitution into law in the UK. On this occasion we thought it was a good opportunity to open up a discussion about whether the Constitution which formed our country, is the basis of our democracy and the foundation of all our laws, is still relevant today. We hope you join the discussion. 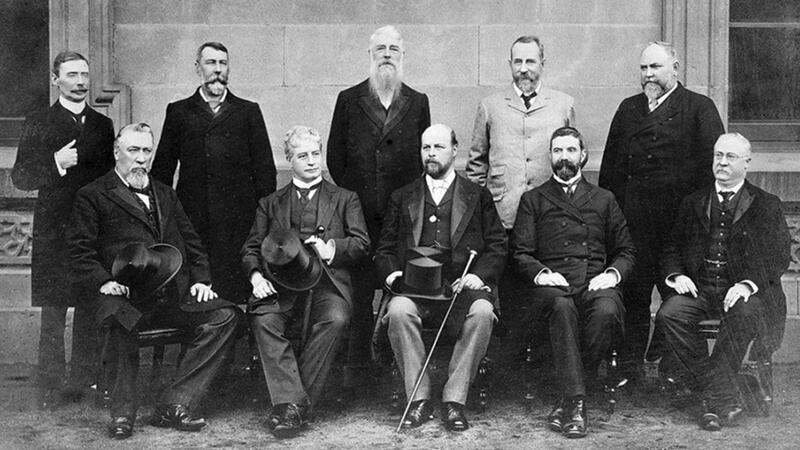 The Constitution is a legal document upon which the Commonwealth of Australia was founded at federation in 1901. It can be thought of as a type of ‘contract’ or ‘compact’ between the people of the six Australian States (or colonies, as they were previously called). The colonies were self-governing in the nineteenth century, but they chose to come together, to create a federal nation, and thus do things on a larger scale (like defence, trade, and immigration) more effectively than they could on their own. Our Constitution is better than most others. You’re probably thinking ‘yeah, well you would say that at CEFA’. And of course we would. But its true. We have a Constitution that was written by Australians for Australians. Our democracy is consistently ranked in the top ten in the world. Our Constitution was drafted as neither an act of defiance nor one of reconciliation. It was created by pragmatic idealists, crafting a blueprint for a new nation, combining high hopes with low compromises. Their vision – a nation for a continent – was a grand one. The problems they had to overcome were more pedestrian. Not defiance of distant empire, decades of oppression and division or the negotiation of profound shifts in power relations. Instead, our founding fathers struggled to negotiate the finicky interrelations of multiple jurisdictions, competing agendas and different-sized railway gauges. Is it any wonder our Constitution is technical rather than sweeping, mechanistic rather than grandiose? The creation of our Constitution was thoroughly democratic. The people who wrote our Constitution were elected by the people. And the draft document written was submitted to referendums in each of the colonies. The people voted for this Constitution. It was then submitted to the British Parliament, where very minor changes were negotiated by delegates from each of the Australian colonies. It was passed by Westminster and then assented into law by Queen Victoria on 9 July 1900. On 1 January 1901, it came into force and there were huge celebrations all around Australia. Australians are sometimes disparaging when commenting about our constitution. But if we didn’t have the Australian Constitution what would we have? Would we still be six individual colonies? Or perhaps dominions, like what New Zealand became? Would each dominion have its own currency and army? Would each of them enter into their own international treaties? Would each of the six countries that now form Australia charge trade duties on each other? Has the strength of our democracy been galvanised by our founding document? Are our lives better with the Australian Constitution outlining our system of government? Some commentators are beginning to point out that when people get fed up with politicians they seem to get fed up with everything else involved with the system. While our Constitution does not have many express or individual rights, it does have many protections for us as a society. For instance, the layout of the Constitution provides us with a separation of powers. By having different functions of our democracy being exercisable by different people or groups of people (parliament, executive or judiciary) we are protected by layers of checks and balances that prevent an authoritarian government being formed. Most Australians have a commitment to democracy, but believe it shouldn’t interfere too much with their lives. In the last decade or so there has been a decline in approval of democracy which has been demonstrated by the Lowy Poll each year. The Lowy Poll were initially shocked by the number of people who answered that in some cases a non democratic government can be better. They probed further into why particularly young people gave this answer and it wasn’t because they preferred an autocratic government. It was because they were unhappy with the state of government at the moment. Nations are made only by great occasions, not by paper constitutions. But the energy will be there, and in the fulness of time, when the opportunity comes, the nation will arise like a bridegroom coming forth from his chamber, like a strong man to run a race. This change will not necessarily imply any conflict with the States, because the people of the States, who are also the people of the nation, will throb with the new life, and will be disposed to yield to the irresistible pressure of nationhood. In the adaptability of the Constitution, and (should need arise) in the power of amending the Constitution—the facilities for which are far greater than in the United States—there is ample room for the growth and development of such tendencies as may assert themselves in the present or the distant future of the Commonwealth. The Constitution will come into operation under the fair and well-distributed influence of two forces. One of those forces will be the centralizing attraction of the Commonwealth, and its tendency to detract from the power and dignity of its corporate units the States. So, what has changed since federation? Well, a lot. For instance, the relationship between the Federal Government and the States has altered dramatically. This has mainly occurred through taxation and the external affairs power. Section 51xxix gives the Federal Government the power to enter into international treaties and deals, which then also apply to the States and Territories. The Federal Government has more power than it did at Federation. The introduction of the Statute of Westminster Adoption Act 1942 and the Australian Act 1986 have also drastically altered Australia’s relationship with the United Kingdom. Of course there are people who want more change in regards to this, such as those pushing for republic. Is our referendum process too hard? To alter our Constitution a referendum must be held and the people of Australia vote. For a change to occur the YES vote must result in a double majority (over 50% throughout Australia and a majority in at least four States). Only eight out of 44 questions have ever resulted in the double majority. But is this because Australians are against changing the Constitution? Or is it because the right questions have not been asked? If change is offered that is valuable or right for the people of Australia they will vote YES, as had occurred eight times since 1901. On the other hand, if they are offered the opportunity to change the power structures (i.e. reduce the power of the Senate) they overwhelmingly vote NO. There are some things that were not considered by the people who wrote our Constitution and they knew this would be the case. But as a living document our Constitution can be altered by you and every other Australian in a national vote. Many now believe that not recognising the Aboriginal and Torres Strait Islander peoples in the Constitution was a huge mistake. However in the late 19th century this was inconceivable. Many Australians now cringe about that. Here at CEFA we sometimes receive correspondence from people who state things like ‘I cannot see any validity or legitimacy in the Constitution, given that it ignores the sovereignty, governance, and histories of Indigenous peoples’. Often these commenters go on to state that we need of a new Constitution. However, we have an opportunity to make a change to the current Constitution if we wish. Referendums are nation building exercises that ensure that our Constitution is able to be adapted to meet the needs of Australians now and in the future. This is nationhood. Please let us know if you think the Constitution is still relevant today? Are there any changes you would like to see? You can comment below or join us on Facebook for what is normally a robust conversation.